The new Forrester Wave™: Endpoint Detection And Response, Q3 2018 report is out and we’ve been named a “Leader” in the market. Learn more and get a copy of the report now! Digital Guardian is thrilled to be named a Leader in the field in the inaugural report. 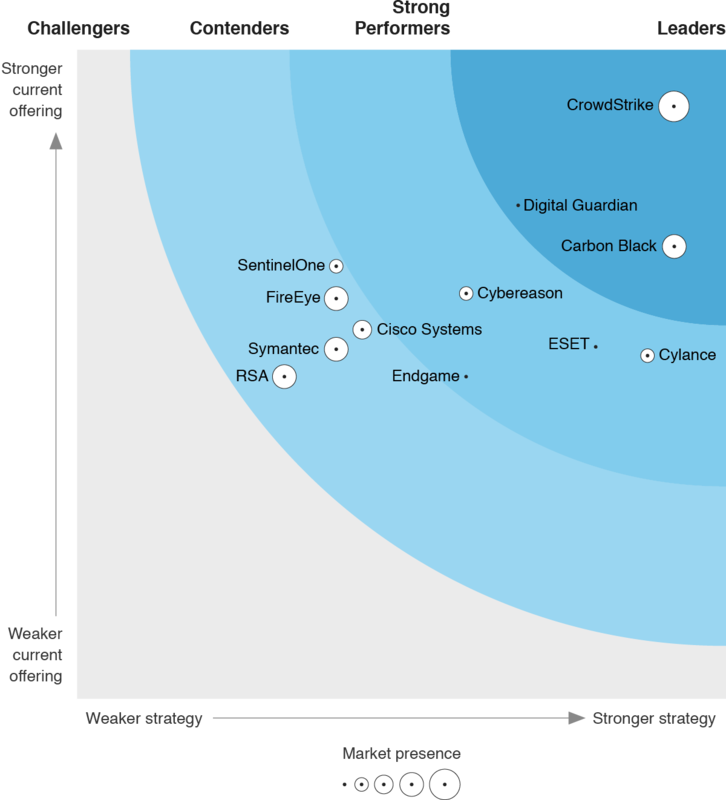 We’re even more excited Forrester Research recognized our “extremely exciting EDR solution,” a vital part of our data-centric approach to security that we’ve layered on top of our Data Loss Prevention technology. In the report Forrester assessed 12 vendors against 20 criteria, which it went on to group into three high-level categories, current offering, strategy, and market presence. Forrester’s evaluation process for a Wave report places vendors in one of four designations: Leaders, Strong Performers, Contenders, and Challengers – which are evaluated based on each vendor’s strengths and weaknesses in their Current Offering, Strategy and Market Presence. This report is a valuable resource for security and risk professionals who are currently evaluating EDR vendors and would like a complete view of their capabilities and ratings, as well as an overview of the current EDR market landscape. Hack Our Jibo at Black Hat!